Needle Felt Artist: Where does the time go?! Oh, I know...it goes while I'm stabbing wool! Welcome to my NeedleFeltArtist blog! 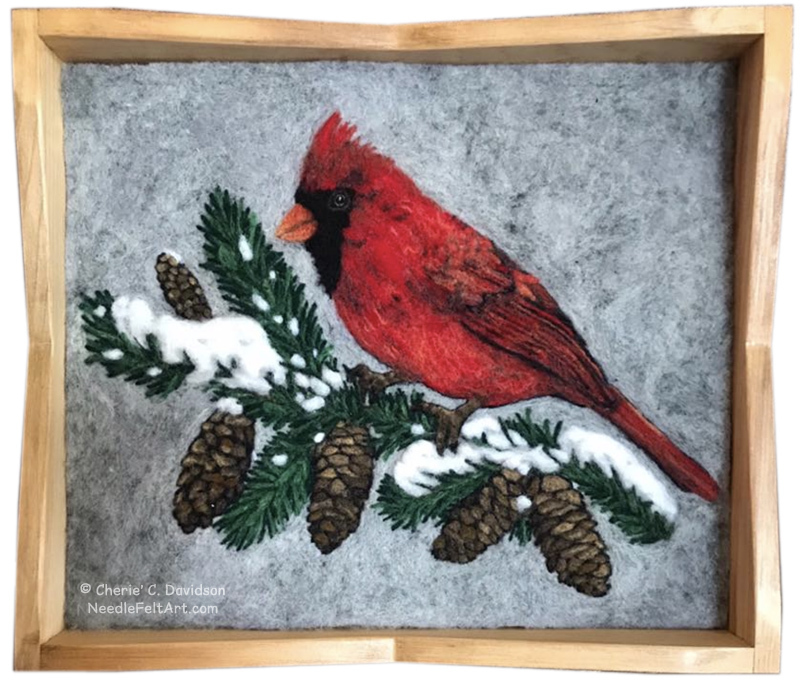 I'm Cherie', designer, artist and needle felting instructor. It's my complete pleasure and joy to share with you the love of all things sculptural needle felting from natural wool fibers, tips and techniques, to some of my unique and custom creations, including art dolls, animal figures, and mythical creatures. Great to have you here! Where does the time go?! Oh, I know...it goes while I'm stabbing wool! I was actually stupefied when I stumbled back upon this long forgotten blog. I'd started it years ago, before my needle felting had grown to a point of occupying my every spare moment. 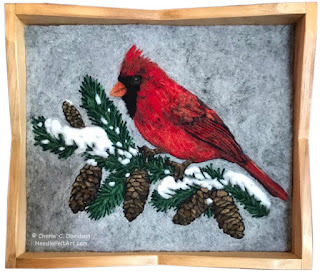 Even as I type this, I'm shaking my head at how much time has gone by, and how completely and totally I had forgotten all about my desire to write about my needle felting. Cool thing is, in all this time, my needle felting has grown, developed, and become even a greater passion. I began teaching classes in my local town, started two Facebook groups (Sculptural Needle Felting, and Let's Make Needle Felt Wool Dolls) to share and help others (and get some inspiration myself), and put time into growing a home-based business. I decided to close my business on Feb. 1, 2019, and I closed my Etsy shop. I've since reorganized, and now I have a hobby, not a business. I have more time to create and that's a wonderful thing. I've revamped and updated my Etsy shop and I am thinking of using it again...just for projects I need to clear out of my workroom, and to make some money for supplies. And... I plan on actually paying attention to this blog! I've updated it, and have plans for some light tutorial style posts, as well as some fun sharing. So, we'll see how many cool upcoming projects I can share with you all for the rest of the year! Hi, and welcome to my world of needle felting and joyful creativity! I have been a lifelong crafter and artist, but when I found needle felting in 2014, I haven't been able to stop! My favorite subjects are classic movie monsters, fantasy and folktale characters, animals of all (and every) kind, and silliness from the depths of my crazy, eclectic, and playful imagination. My blog is about my needle felting journey, sharing my techniques and things I've discovered, and really just sharing the amazing things that can be created using only wool and barbed needles! © Cherie' C Davidson, all rights reserved. Awesome Inc. theme. Theme images by nicodemos. Powered by Blogger.